GONSKI (AUS) (2002). 2 wins-1 at 2-at 1100m, 1400m, VRC Poseidon S., L. Sire of 228 rnrs, 115 wnrs, inc. SW Miss Seton Sands (Ashburton RC New Zealand Bloodstock Insurance S., L), Impel, Siwa Lady, SP Miss Gidget, Gone Skiing, Gonski Girl and of Duckworth, Karratha Crossing, Nicskioffski, Counter Sign, Money is King, The Kitkat Kid - Windicator Star (H.K. ), The Producer, Alilad, Nutherbottlegonski, etc. Sire of the dams of Skywishes, etc. They Call Me Bolt (f. by Gonski). 3 wins. See below. Roycey (g. by Gonski). 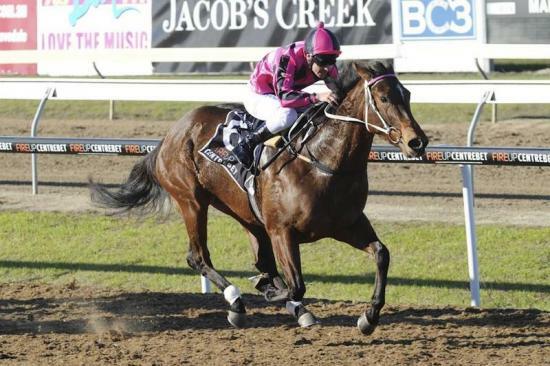 2 wins at 1000m to 2015-16 in Aust. 3 wins at 1000m, 3d VRC Isca H.
2014 foal by Mossman. Dead.